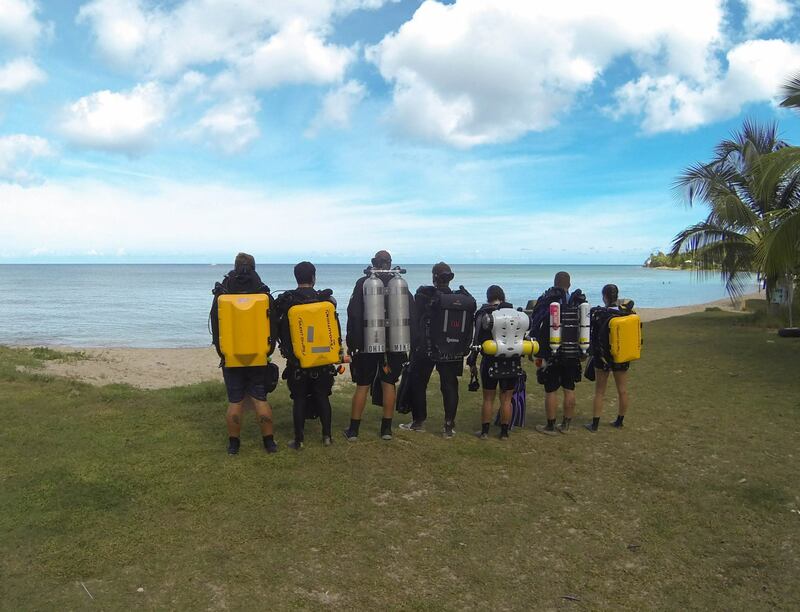 SCUBA has all of the consumables for your deep adventures here on St. Croix. From doubles, and sidemount tanks to rebreather bottles and deco/bailout tanks we've got you covered. With our Haskel gas booster, our Master Blenders provide our Tecnical divers the Nitrox, Oxygen and Trimix they need at pressures they deserve. Our partial pressure blending system allows us to custom blend any mix that your dive profile requires. Tank rental prices shown below include air fills or top offs. Custom blends and oxygen fills are calculated by the cubic foot of gas used and added to the tank rental. Let us know what sorb you need and we can make sure it is ready to go when you get here.